Punchy colors, a casual atmosphere, and a unique and fun style that is perfect for every single guest. 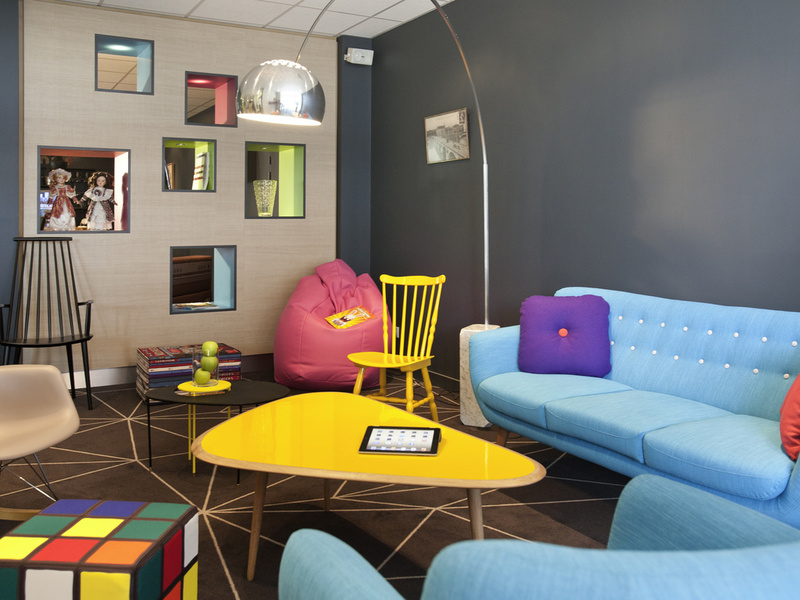 The whole team at ibis Styles Roanne Centre Gare hotel wishes you a warm welcome to this modern and muted setting in the heart of Roanne. In the heart of Roanne, opposite the train station, with a CCTV-monitored private car park, our comfortable 57-room hotel offers perks on every floor! Free WIFI and buffet breakfast are included! Rooms for up to 4 people and children receive a special wel come at no additional cost (family rooms, gifts on arrival and a play area). At the heart of Roanne, the ibis Styles Roanne Centre Gare hotel is ideal for business and leisure trips alike. La Good Mood bar, a "snack cellar" with a friendly atmosphere, is the ideal place to meet before dinner or to continue your evening. Wines and local produce will tempt you to discover our region.